Eduhero is a fully customized website built by Region 6 Education Service Center in Texas, aiming to help school districts and businesses learn material through engaging on-demand courses. 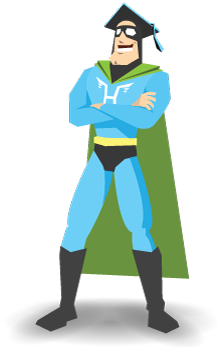 Eduhero strives to provide activities, videos, and questions that you would never see in another online course or face-to-face training. Eduhero also pushes the boundaries for online professional development by giving you the ability to take all this from the comfort of your own home. Eduhero is made by Texas educators for Texas educators. Our course catalog is determined by our members and built to meet the needs of Texas schools. Many of our districts still have their own course development program, but use Eduhero to meet their statewide needs while using their staff to meet their own local needs. Eduhero is proudly partnered with Region 2, Region 3, Region 5, Region 8, and Region 15. If you are in one of these regions, please contact them for more information on Eduhero.